​Once a decision is made to renovate, selection of your providers is crucial. Contractor, lender and consultant must be determined by you. By far the most important selection, is your contractor. I would suggest to begin the process with selection of your contractor. You can then begin the loan process to determine loan qualification amount while you're finalizing your contractor process. The consultant works with contractor and lender to field validate the project and manage release of funds during construction. Selection of the contractor is by far the most important decision in the renovation loan process. It's imperative that borrower carefully selects their contractor. Invest time to get references, interview several contractors. Research internet reviews, check contractor's license board to assure they are active, has insurance and bonded. Construction costs are needed to apply for the loan. Construction bid will require detail that needs to be approved by lender. 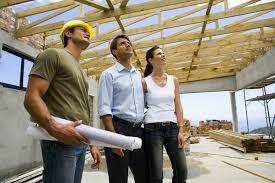 Contractor should have experience with construction loans. Experience counts. Interview lenders that have experience or has specialization with renovation loans. It is recommended to work with direct lenders versus brokers. Direct lenders will have access to more inhouse resources to assist with the process. This will avoid hurdles and delays. Lenders should have experience in renovation loans from HUD & Fannie Mae. There will be financial advantages with these providers based on your financial condition. 203K Consultants provide field expertise with knowledge of construction & procedures of loan requirements. 203K consultants are certified by HUD. Their responsibilities start with once lender and contractor have been selected. 203K consultant must inspect the property, review contractor's bid, develop documentation to submit to lender for funding. Once loan is approved and funded, the 203K consultant manages releases of funds to the contractor. Draw inspections are conducted by 203K consultant to release funds based on the progression of the construction. ​Recommend to interview several 203K consultants in your area. Experience and expertise counts. Your lender may have references or preferences for you. Some lender will vet these consultants. Good working relationships between lender and 203k consultants can improve the process and experience. Experience is a plus, but may be hard to find. When purchasing a home, your realtor will play a key role in identifying properties and managing the selling side. Seek a realtor that has an eye for value and improvements. Good communications is paramount during escrow to the sellers agent. Your realtor biggest value is successfully selling this renovation project to the selling side and managing it. Value - Seek realtors that have an eye for identifying value finding that "diamond in the rough". Agent will need to work with buyer inspiring creative ideas with improvements.